Let’s combine all foods delicious this week. Spinach is an excellent source of vitamin K, vitamin A (in the form of carotenoids), manganese, folate, magnesium, iron, copper, vitamin B2, vitamin B6, vitamin E, calcium, potassium and vitamin C. It is a very good source of dietary fiber, phosphorus, vitamin B1, zinc, protein and choline. Did I mention it is delicious as well? 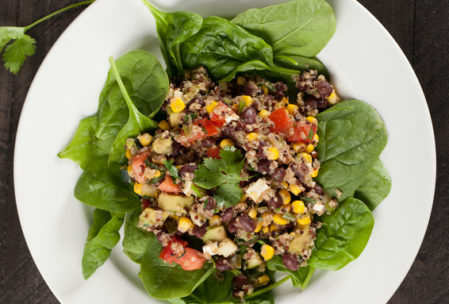 This dish is a packed with energy and power for any lunch or dinner. In a big salad bowl arrange spinach. 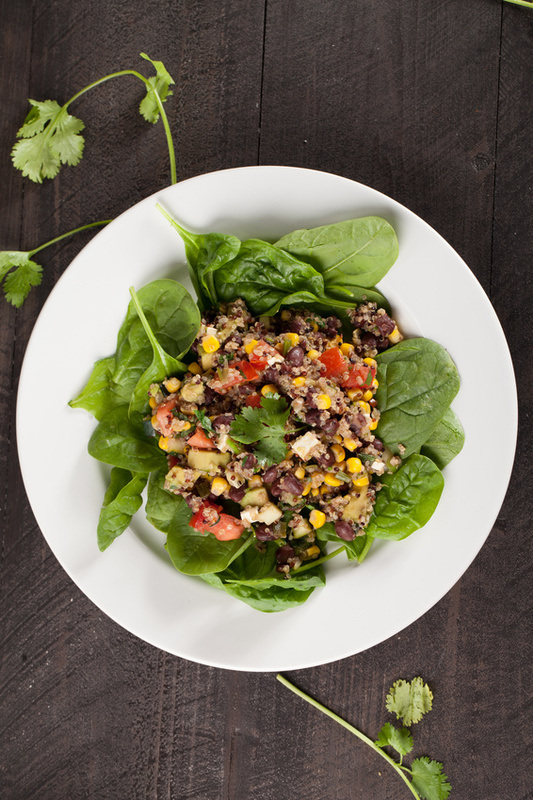 In a smaller bowl add cooked quinoa, tomatoes, corn, black beans feta cheese and cilantro. Toss thoroughly until combined. 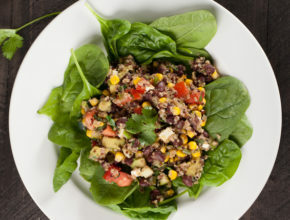 Spoon quinoa mixture on top of spinach. Set out for dinner with dressings of choice.